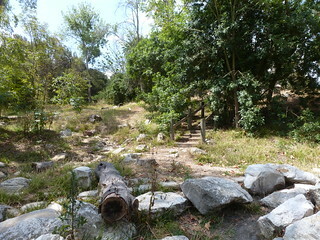 In the last few weeks I’ve visited two “wilderness” parks in the South Bay area near Los Angeles. Both are islands of nature surrounded by suburbs, but they have opposite goals. 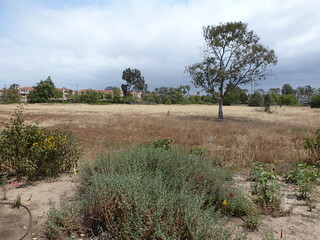 Madrona Marsh Preserve in Torrance is first and foremost a preserve. It’s the last remnant of the seasonal marshes that once covered the western part of the LA basin. It’s carefully maintained, but the goal is to assist the natural environment. 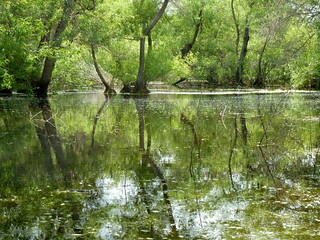 Ponds form naturally during the winter and spring rains and dry out over summer. 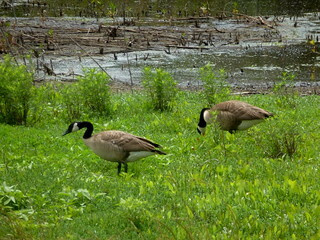 All kinds of waterfowl visit the pools during the wet season. The visitor center is outside the preserve, across the street, and the gates shut at 5 pm. Facilities inside the preserve consist of a storage shed, dirt trails, and an awning to shade plants that are being prepared for one section or another of the ecosystem. I took a zillion photos and narrowed it down to an of album of 25. Here are a few shots to show the range of habitats. 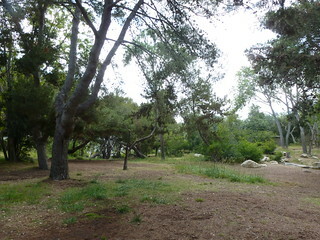 Hopkins Wilderness Park in Redondo Beach is much more focused on giving people the experience of nature. 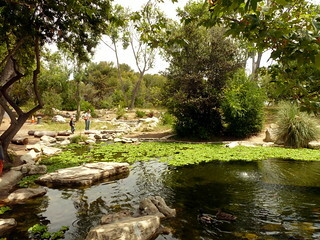 It looks and feels like some of the regional parks I’ve hiked, hilly with trees and chaparral, but an artificial stream runs into a concrete-lined pond near the entrance, stocked with koi and turtles and floating water plants. Food is available for feeding the fish and ducks. (Or maybe the teacher brought it – we were there with my son’s preschool class.) Some of the trails are paved with gravel. Overnight campsites with picnic tables and restrooms dot the park, and a large concrete amphitheater sits against one hill. Both parks are nice to just get away from the city for an hour or two and relax. Neither is big enough to get lost in (or to be too far from the restrooms). If you have a big group of kids, Hopkins is the way to go. It’s shadier, has picnic facilities, and when it comes down to it, the park is made for us. Pack your trash out, but feel free to sit on the logs, feed the fish, whatever. 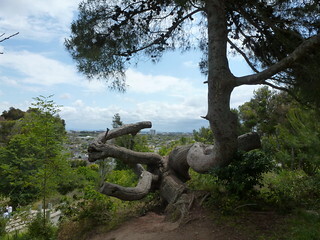 I’d only really recommend it to locals, though – there isn’t much to set it apart from other parks. Madrona felt more like I was an observer: accepted, but apart. There’s more wild in it, which makes it more fascinating. Plus it’s so different from the hill/canyon sparsely-wooded parks I’m used to. I’d love to go back and see how different it is in summer [Update: I did], or after the ponds dry up for the year, or in a wetter spring. 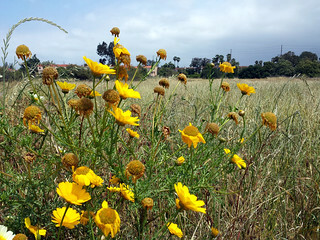 This entry was posted in Highlights, Photos and tagged California, hiking, Madrona Marsh, Redondo Beach, South Bay, Torrance, wetlands on May 30, 2015 by Kelson. 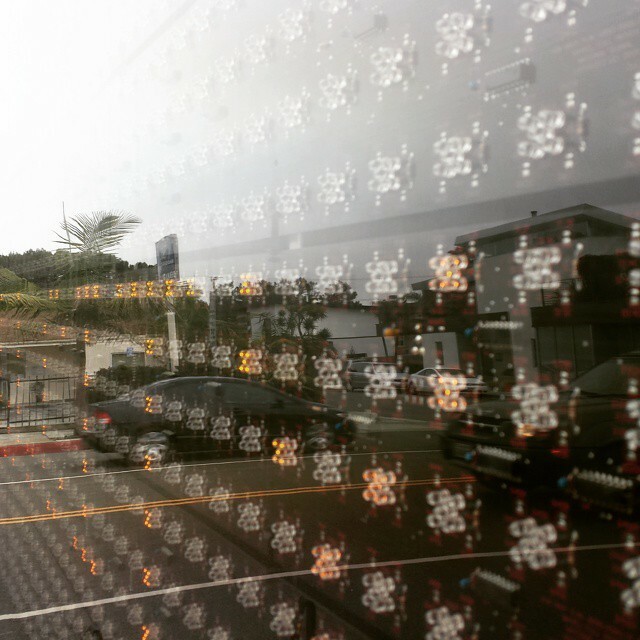 A few years back, Mysterious Galaxy, a San Diego bookstore specializing in mystery and science fiction, opened a second location in Redondo Beach. They recently decided to close the newer location and focus on the San Diego store and community events (they’re heavily involved in the local book and comics convention circuits), and held a giant sale to clear out inventory. 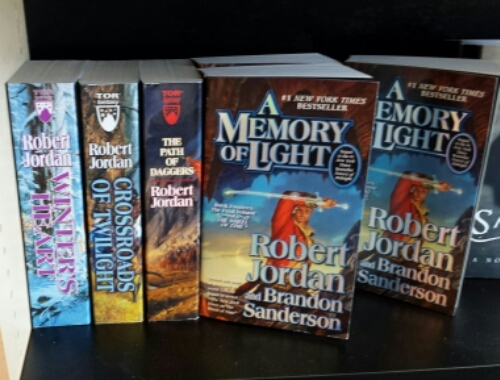 We went to the sale over the weekend, and found it amusing that of all the Wheel of Time novels remaining on the shelf, the only ones left aside from the final installment were The Path of Daggers, Winter’s Heart, and Crossroads of Twilight — a trio of books widely known for killing fans’ interest in the series. (Crossroads, in particular, is referred to jokingly as “Characters Show Up.”) Fortunately it picked up again with New Spring, a flashback novel focusing on a character who had vanished halfway through the series, set years before the first book. The next book in the main series, Knife of Dreams, turned out to be really good, making me wonder if Robert Jordan’s side trip to the past had re-energized and re-inspired him. The fact that the story picked up again so strongly before his death — before he was even diagnosed, IIRC — gave me a lot more confidence in the concluding trilogy finished by Brandon Sanderson. If that next book had been like Crossroads, I probably would have dropped the series right there. This entry was posted in Sci-Fi/Fantasy and tagged Books, Mysterious Galaxy, Redondo Beach, Wheel Of Time on June 16, 2014 by Kelson. Saturday night we went out to the Redondo Beach pier just in time to watch the sun set over the Pacific Ocean. One thing that I found a bit odd was that it appeared to be setting behind a line of distant mountains. While the coast does curve westward at Santa Monica, I was pretty sure that due west of us was nothing but sea, though I figured it could have been the Channel Islands, or a very sharply-defined cloud bank. So I did what any geek would do: looked up the angle at which the sun had set that evening. I found two tools: The NOAA solar position calculator let me figure out, given latitude, longitude and time, the sun’s declination. Then I found another tool that let me enter the latitude, longitude, and compass bearing and see a line drawn on a map. It turned out that the sun was setting roughly 21° north of due west, putting it roughly in line with the coast from Malibu toward Ventura…on the seaward side. The line finally connected with land out toward Point Conception, roughly 120 miles away. That’s probably too far away to be visible from near sea level, depending on how high the mountains are out there, but if the angle was off just a little bit (I did estimate the time), it could easily have be the Santa Monica mountains above Malibu (more like 20 miles). So yes, I did watch the sun set over the ocean and over land at the same time! This entry was posted in General and tagged California, geek, geography, ocean, Redondo Beach, sunset on May 30, 2011 by Kelson.